Family will great friends starting at 10:00 am. 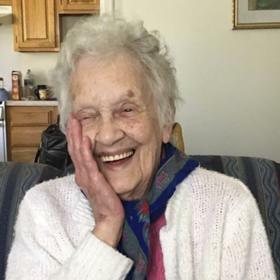 Marilyn Gendzwill passed into eternal life on Tuesday, August 7, 2018. She was born in Jackson, MI on June 15, 1931, the only child of Floyd and Evelyn (Wilkinson) Buschlen. She was preceded in death by her parents and a daughter, Kathryn Gendzwill, and a grandson, David Kipp. Marilyn was a member of Holy Name of Mary Parish in Sault Ste. Marie, MI. Marilyn lived in Michigan all her life, having resided in DeTour Village, Dafter, Dollar Settlement, Sault Ste. Marie, and Sutton’s Bay. She substitute taught in area schools, but her life’s calling and last employment was as a counselor at Great Lakes Recovery Center's New Hope House for Women. She served on the Sault Ste. Marie Housing Commission, and was a member of the Bay Mills-Brimley Historical Society and the Society of St. Vincent de Paul. She volunteered as a religious education teacher in the various parishes in which she lived. Marilyn is survived by eight children: Jeanne (Jim) Verbrigghe, Theresa (Dave) Solberg, Laura (Tom) Scott, Matthew Gendzwill, Margaret (Robb) Kipp, Andrew Gendzwill, Amy (Peter) Hemingway, and Tom (Naoko) Gendzwill. 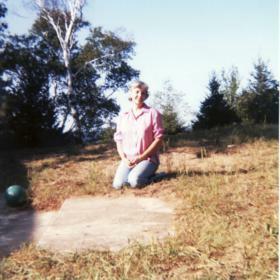 She is also survived by grandchildren: Vincent Babcock; Alex (Nichole) Babcock; Roche (Heidi) and Guy (Jessica) Viviano; Matt (Maria) Verbrigghe; Bethany Solberg; Roland (Lisa), Walter (Leah), Theresa, Michaela, Boaz, and Edwin Scott; Amaris (Tristan) DeFord, Simon, Rochelle, Uriah, Judah, Sterling and Abigail Hemingway; and Kensho and Matthias Gendzwill. Also surviving are 20 great-grandchildren: Katy, Sophia, Calvin, Natalie, Madeleine, Jude, Elizabeth, Owen, Claire, Ian, Edmund, Dominic, Lucy, Julian, Sylvie, Isaac, Bridget, Emily, Jensen, Danny, and Katie. Marilyn is also survived by caring friends Mike and Jackie Gendzwill and Bill Smith.